1886 Hidalgo County Courthouse, Hidalgo Texas. 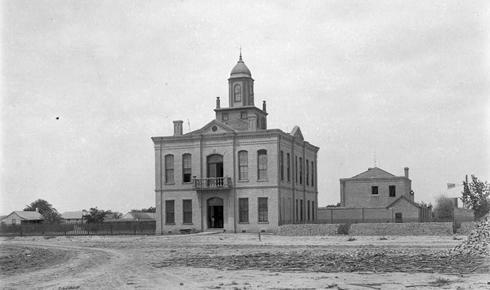 The 1886 Hidalgo County courthouse still stands in Hidalgo, Texas. The second floor, roof and cupola were destroyed by fire in the early 1900s. 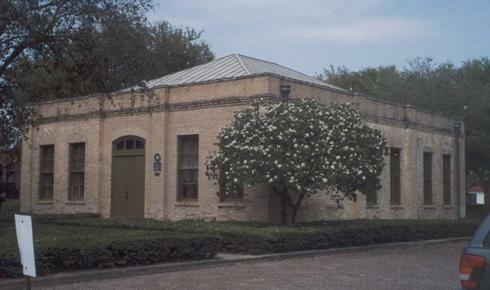 "This building served as the Hidalgo County Courthouse from its construction in 1886 until the County Seat was moved to Chapin (later name Edinburg) in 1908. Made of brick from nearby Reynosa, Mexico, it originally was a two-story structure. Its cupola, roof, and second floor were destroyed in an early 20th-century fire. An important building during the county's formative years, the old Courthouse later served as an immigration and customs facility." Recorded as a Texas Historic Landmark in 1963.